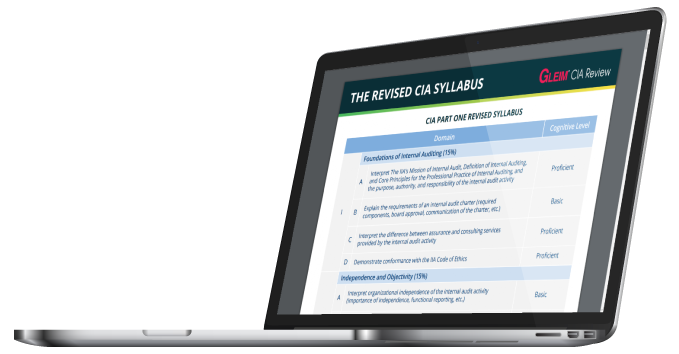 On January 1, 2019, The IIA will be making major content updates, which includes adding new testable topics and reorganizing current topics on the CIA exam. These extensive changes are being made in an effort to keep the CIA exam up to date with current auditing best practices and the role of an internal auditor. What About the CIA Exam Hasn’t Changed? The IIA has streamlined the CIA exam by redefining the three exam parts according to The IIA’s 2017 global job-analysis study. Each part will better test the knowledge and skills required of current internal auditors. Now, content is more evenly distributed across all three parts and topics in Part 3 no longer overlap with those in Parts 1 and 2. This redistribution has made it more important to take Part 3 last, but it is now more feasible for candidates to take Part 3 either first or last. Parts 1 and 2 should continue to be taken in numerical order because topics tested in Part 2 still build on those found in Part 1. 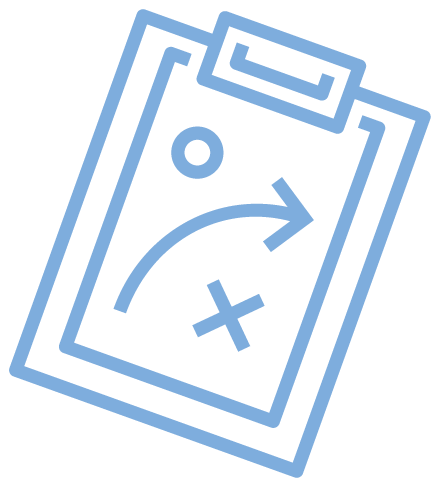 Part 3 still requires a basic knowledge of topics that relate peripherally—but not directly—to auditing. However, now Part 3 has an increased focused on IT-related topics and how they pertain to auditing. The amount of variance in Part 3 topics is now much fewer. Governance is now tested in Part 1. Data Analytics is now tested in Part 3. Topics now include a rating of “Basic” or “Proficient” denoting the level of understanding necessary to answer questions on that topic. The new CIA exam syllabus will take affect January 1, 2019, for the English version of the exam. The new exam will be translated into other languages throughout 2019. Goes deeper into the Information Gathering process under Domain 3, Performing the Engagement. The IIA has always set the level at which new CIAs need to perform. To do this, it conducts a standard-setting study to determine what constitutes a passing score. The passing score will remain the same on the new exam: 600 on a scale of 250-750. However, because there will be a lot of changes all at once, the first candidates to take it will actually help The IIA determine how hard the new exam is, and what percent of answers correct is needed to achieve a 600. A 600 has always been a moving target. 600 equals 75% when the test is of a moderate difficulty level, and sometimes 600 is less than 75% when the test is more difficult. The format of the test will stay the same. You will still be asked the same number of questions and given the same amount of time to finish each part of the exam. The fees and requirements to take the CIA exam will also stay the same. You can read The IIA’s outline for the exam changes here. It is incredibly granular and much of the information isn’t relevant to your exam preparation, but it does offer more details if you need them.